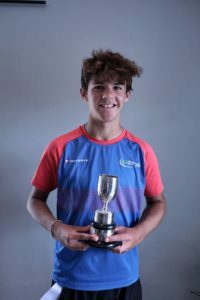 The summer tournament season concluded last week with the inaugural county closed championships held at the East Anglia Tennis & Squash Club at Lime Tree Road. 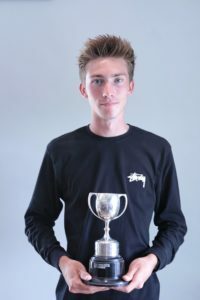 Despite weeks of warm weather and sunshine, Tournament Referee Derek Perry had some cooler conditions to deal with when scheduling matches for players aged between 7-70! The draws were full of players who train on the county coaching programme but it was great to see some other competitors who performed with great skill and some success. The age group events were staggered throughout the week allowing for some competitors to take part in multiple events if they choose to. 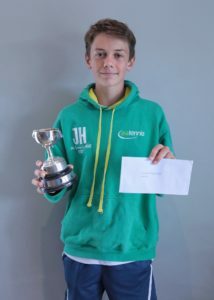 Emily Barrett, who early in the summer had represented the Ladies County Cup team in Division 1, had entered 6 events. If that wasn’t enough of a challenge, she remained undefeated throughout the week to claim 3 singles and 3 doubles titles. 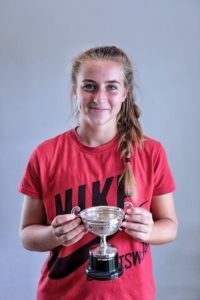 She was pushed to the limit in the Ladies Final, recovering from a set down against fellow Ladies County player Rosie Pooley before winning 2-6, 7-6, 10-8. Another multiple winner in the week was Matilda Cabrera Burns who won both the U/9 and U/10 Girls events. 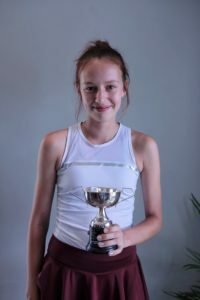 Hannah Wilson Kemsley competed in 3 singles finals, twice losing to Emily in u/16. 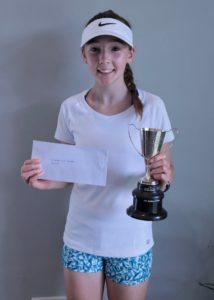 u/18 age group, however she became u/14 champion after beating Mia Bartram 7-6, 6-3 in the u/14 category. There were 3 fantastically close finals in the male categories. 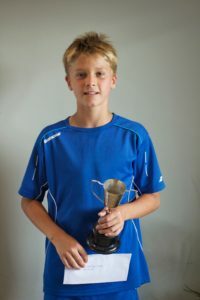 In the U/18 event Alex Watkinson edged out Fred Withers 6-3, 4-6, 10-6. 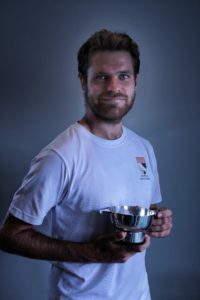 Kris Jenkins, coach to some of the competing junior players outlasted fellow Men’s county player Alex Mcnaughton 6-3, 3-6, 10-8 in a tense finish. It was great to see so many senior players competing. The Over 35 final between Robert Hall and Mark Eglington also went the distance with Robert eventually winning 6-3, 1-6, 10-5.